Stink’ of 1858. The drainage system was connected to London’s ‘lost rivers’, such as the Fleet and the Tybur, catering for a population of no more than 2 million. The system is now outdated and there are now major overflows of sewage into the River Thames on a weekly basis. London is building a new £4.2 billion super sewer, which will keep waste out of the riverbank by directing it to other treatment plants. Following a strategic study by Thames Tideway in 2000, the decision was to tackle the problem with a full-length tunnel solution. 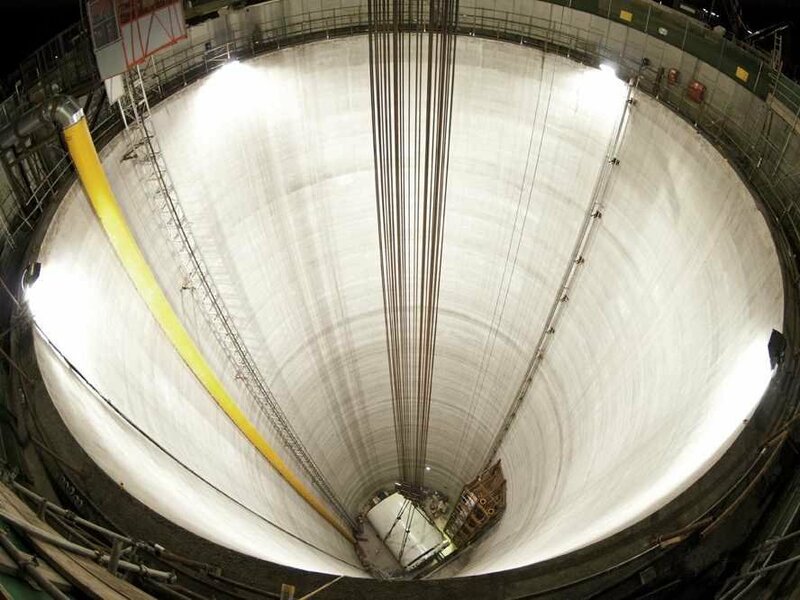 At 25 kilometres long, up to 65 metres deep, and more than seven metres in diameter, the Thames Tideway Tunnel will be the biggest infrastructure project ever undertaken by the UK water industry. 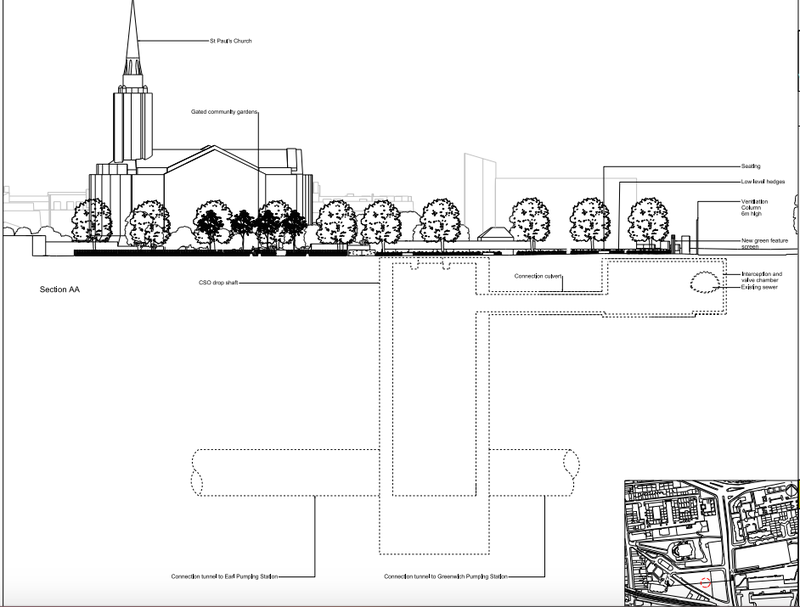 It will generally follow the route of the River Thames to enable it to connect to the combined sewer overflows (CSOs) that are located along the riverbanks, passing underneath all other infrastructure in London and through a variety of different ground conditions. There are almost 25 different construction sites where the tunnelling and drilling will take place. S. Paul’s Deptford is one of them and is the most high risk of all sites due to its historical significance as a Grade I listed building. From 2015 Thames Tideway are preparing this site for the main construction to begin in 2016. The preparatory or early works at Deptford Church Street involve utility diversions along Crossfield Street. Construction at the Deptford site is due to begin in late 2016 and will take approximately 3.5 years. Standard construction working hours will be 8 – 6 Monday to Friday and 8 – 1 Saturdays. It is anticipated an average of 9 heavy goods vehicles will access the site per day for the majority of the construction. This will rise to 32 heavy goods vehicles per day for approximately 7 months during construction of the shaft.